As the paid propagandists bamboozled the public in the Bill Gates-controlled “education media” on the eve of the Save Our Schools March, Robert Enlow appeared in Education Week, declaring Milton Friedman the savior of both school and democracy for first sermonizing on school vouchers in 1955. Anyone who deems Milton Friedman as anything but a psychopath should familiarize themselves with Orlando Letelier’s 1976 letter on the Friedman-trained “Chicago Boys” masterminding dictator Augusto Pichochet’s economic warfare on the poor, alongside the slaughter of thousands of people, all in the name of free-markets, voucher schools, and psychopathy in Chile. For speaking out, Letelier was himself killed. * After the CIA allowed Pichochet’s hit-men to slip into America, they blow up Letelier’s car in Washington D.C. for speaking the truth about Friedman and Pichochet’s army of Green River Killers. But Letelier’s voice is what is blasting through Chile today, as 600,000 students, parents, teachers, and members of 82 labor and social unions have been protesting and striking in the streets. One of them, a 16-year-old, has been shot dead, thousands have been jailed. As the poor get poorer, the Chilean people fear a historical ritual of torture and “disappearing” under a corporate dictator. In their Friedman school system where only 45% of high schoolers attend real public schools, the people don’t want school vouchers. And they sure as hell don’t want Paul Vallas (who destroyed unions and privatized schools in post-Katrina New Orleans and Chicago) in their country helping to privatize what is left of their public school system, where vouchers have gone mad. None of this passes for polite conversation in America, but it must be said. ** Greed and cronyism are the norm in the corporate school reform movement, and even when they aren’t used for human brutality, vouchers are designed to send money to financially-desperate Catholic schools which “cream” students to indoctrinate, to offset the cost of private school for the upper-middle class, and to monetarily drain public schools and place them in a failing position so that for-profit education management companies can take them over and hire Teach for America “scab” workers with money from big banks, private-equity firms, and hedge fund managers, who double their money in merely a few years by applying the New Market Tax Credit. Like every single issue the corporate school reformers bring up, vouchers are a hoax. As Randi Weingarten, Dennis Van Roekel, and other faux labor leaders in America cash in their six-figure paychecks and go home to watch corporatized Labor Day parades on TV this weekend, let us side with Eugene V. Debs, Big Bill Haywood, Rose Russell, and student union leader Camila Vallejo Dowling from Chile, where the fight for freedom is erupting. 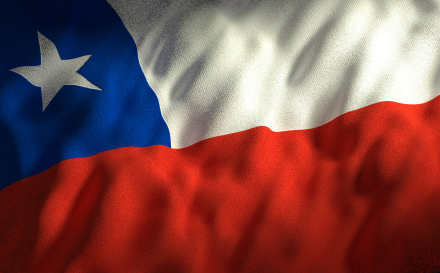 On Wednesday, the Chilean Senate Education Committee took the first right step and voted to adopt a bill to eliminate government funding of for-profit schools. Let’s hope lawmakers now pass this bill. Let’s hope Americans get this kind of courage again before it’s too late. * For Friedman’s role in destroying Chile and his visit to dictator Pinochet, see Naomi Klein’s The Shock Doctrine. Ronni Moffitt, Letelier’s American assistant, was also murdered in the car bomb attack. ** Yesterday, below Eric Zorn’s take on the Indiana voucher program in the Chicago Tribune, one commentator lashed out at B-Town Errant’s Douglas Storm for even mentioning Milton Friedman’s psychopathy in connection to school vouchers. Another said I pretentiously thought I was the “arbitrator of public truth” for pointing out the sweet little deal Mitch Daniels and now for-profit charter-operator Dennis Bakke arranged which led to millions of dollars being lost by stockholders and in people’s pension plans a few years back, even as Daniels pulled his own stocks from the Indianapolis Power and Light Company before it merged with Bakke’s mega-utility company, AES. Thanks, Doug. The struggle against oppression is one where we seek the truth of our daily living. We must fight against the hand-me-down framework of centuries old propaganda mechanisms. There are people FIGHTING to be allowed to be fully human in this degenerate world of Western values; one that privileges only the voice of wealth and power. The USA is the great destroyer of the common people in the name of a “better class” with “business” interests. We don’t need to look abroad to find it, but is amazingly stark when we do.